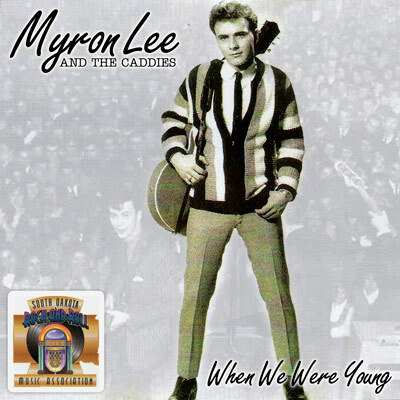 Get your Myron Lee and the Caddies music and more here. Get the product, direct from the source. ***Note: International Orders may require additional shipping charges depending upon location. Myron will personally contact you if this is needed. Get this 12×18 pencil drawing poster taken from the late ’50s – early ’60s era band look. Original drawing by Barry Hanson. Finally, after all these years, the music of Myron Lee and the Caddies gets put on one great compilation of 24 songs. Includes Peter Rabbitt, Rona Baby, Homicide, Mary’s Swingin’ Lamb and many, many more. This album is available in physical form, shipped right to you, or in full digital download form straight from iTunes. Pick your format below. 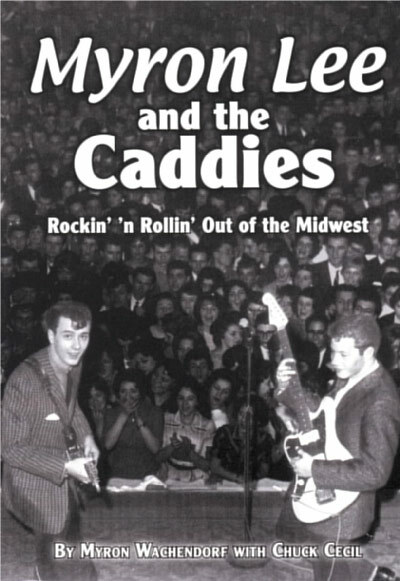 Myron Lee’s official authorized biography “Rockin and Rollin’ Out of the Midwest” is about his band and life. Limited supplies so order your copy today. Myron Lee decided to re-release two his most well known songs on Norton Records vinyl. Just like the old days! What could be better? Homicide and Aw C’mon Baby. Two hits on one 45RPM record. 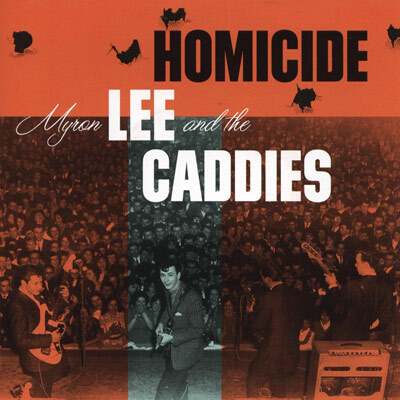 Don’t miss this chance to get a freshly pressed piece of vinyl with 2 classic Myron Lee and the Caddies songs.